This is a really wonderful novel of the early years of the Bloomsbury Group. They'll go on to be the writer Virginia Woolf, the artist Vanessa Bell, the novelist E. M. Forster, the economist John Maynard Keynes, and other memorable figures, but right now, they are simply the Stephen siblings (Vanessa, Virginia, Thoby, and Adrian) and their friends. The Stephens have taken a house in avant-garde Bloomsbury, and begin hosting daring literary and artistic salons. It's glittering and edgy, optimistic and ambitious, though as yet none of them has achieved much. Then Thoby dies, and Vanessa, the main anchor for brilliant and unstable Virginia, marries art critic Clive Bell. Virginia feels abandoned, and sets out to get Vanessa's constant attention back. 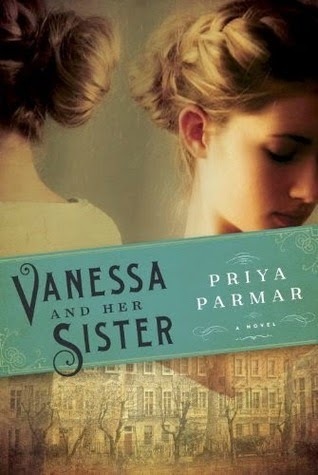 The story is told through Vanessa's diary, and letters and postcards from and between other characters. I expected to find this novel mildly interesting; instead I found it absolutely compelling. Parmar makes these artistic and intellectual notables utterly fascinating even when they are at their least likable. As just one example, both the growth of the relationship between Clive and Vanessa, and its erosion and breakdown make perfect and painful sense. Vanessa and Her Sister is an absorbing and enlightening look at the early years of a groundbreaking artistic and intellectual movement in the first years of the 2oth century. Start reading, and you won't put it down.